The Yod aspect pattern is a configuration between at least three planets or points in the horoscope to create a long triangle which looks like a witches hat. 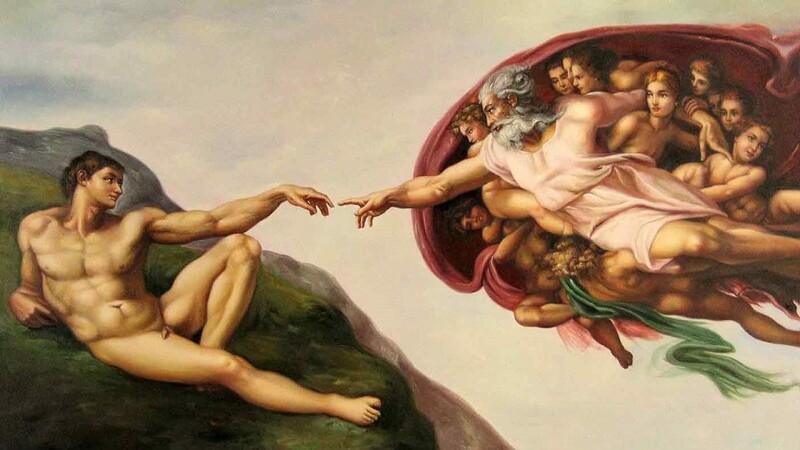 A Yod is also called the Finger of Fate, Finger of God or the Projection Triangle, and has been the source of much debate and controversy within the astrological community. Traditional astrologers have dismissed Yod astrology as “bogus” or merely a midpoint structure, and even among those who use Yod’s there is debate about orbs and whether to include only planets or other points in the chart like the Ascendant. I strongly believe that Yod astrology is very significant and does live up to the hype as a very fated aspect pattern denoting a special mission or destiny in life. Yod is the tenth Hebrew letter with significant kabbalistic and mystical significance regarding the name of God, his omnipresence and our humility. 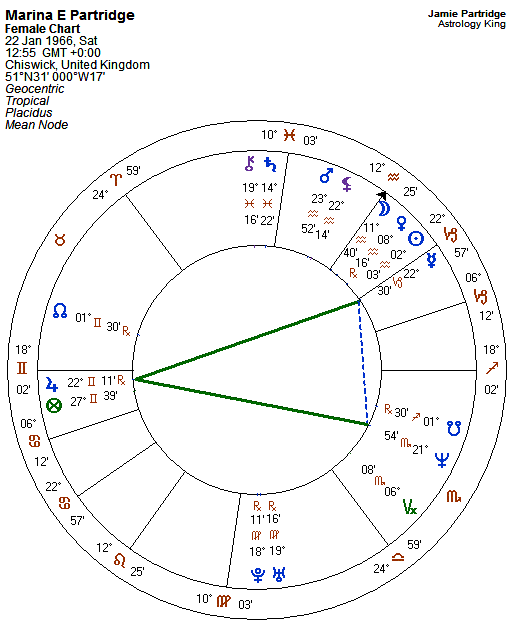 In Marinas chart below you can see the Yod apex planet is Jupiter. The green lines are quincunxes (150°). The blue line between Mercury and Neptune is a sextile (60°). The Yod is a challenging aspect pattern but holds great potential for spiritual evolution and increased awareness. This pattern creates a particular and strong energy, stronger than you would get by these aspects on their own. I like to use the analogy of a crystal here, a very definite and unique structure which holds a special type of energy which took a long time to create. A person with a Yod will have a difficult time with this frazzling and neurotic energy, especially earlier in life. The energy of the two planets in sextile is focused like a laser beam on the action point, in this case Jupiter. A sextile is a positive aspect that creates energy. The quincunxes take this heightened energy and raise the vibration even further. Initially, the most negative potential of the sextile aspect manifests through the apex planet. The action point planet then comes under incredible stress and tension and must release it somehow. Individuals with this Yod pattern will experience this as continual build up then release of tension. I have mentioned that I consider the Yod astrology very challenging, there will be many difficult circumstances and relationships in life which seem to show a repeating theme, as if we are learning a lesson over and over in order to perfect something. I believe that a person with a Yod has been working on a special task or mission over many lifetimes, making mistakes along the way while learning the skills needed. The Yod in the chart for this life signifies that this is the life to bring it all together, the make up for the mistakes and pay back the karmic debt. This life the skills are to be perfected and used in a constructive, selfless way to benefit others. The skills are shown by the sextile planets, the challenges through the quincunxes, and the mission or task through the apex planet. The quincunx is an aspect of karmic readjustment. In Marina’s Yod astrology, the mission relates to Jupiter, faith, values, philosophy. Positive values, cheer and hope given to many through the Mercury/Neptune spiritual writings and words. The negative manifestation which had to be overcome to get to this positive and constructive stage included lack of self belief, and the tendency to exaggerate the Mercury/Neptune imaginings, suspicions and tendency to get carried away with conspiracy theories. Marina may have a different interpretation – keep your eye on the comments. Elida Marchisone talks about Yod astrology and labels this aspect pattern the “Spiritual Warrior”, pointing to the struggle to rise above the challenges and to evolve the soul. In relation to the early struggles and to finally start to realize the wonderful potential bound up in the crystalline structure, she writes that for a Yod “to work positively a certain evolutionary standard must first be met“. The timing of this evolutionary leap, or series of leaps will be shown by aspects, especially conjunctions to the apex planet from eclipses and outer planet transits. Alan J. Ouimet quotes the astrologer Bill Tierney (Dynamics of Aspect Analysis), describing Yod astrology as “arriving at a fork in the road and having to proceed in one direction rather than another without knowing where it will lead to…activation of the Yod will cause the dropping, or psychologically letting go, of certain interests and habits in order to become involved in what is showing on the horizon”. Regarding the “fork in the road”, if you take a direction other than the one God has chosen for you, then the universe is likely to give you a kick in the pants. The further you stray from the destined path, the harder the kick. Other variations of the Yod is the Boomerang Yod mentioned below, and the Golden Yod which is discussed in the horoscope of Adolf Hitler. This Golden Yod involves a quintile aspect (72°) in place of the sextile, and two biquintile aspects (144°) in place of the quincunxes. There is still the same theme with a special mission in life and the struggle to overcome adversity, but there seems to be more of an emphasis on the use and abuse of power. When there is a planet or point opposite the apex planet then we get a Boomerang Yod, also called a Focused Yod. This Yod astrology is more complex. In my chart you can see that Mercury and Venus make up the reaction point, opposite Saturn the apex planet. Interpreting the standard Yod pattern, my special mission involves taking responsibility for something, learning, teaching, parenting (all Saturn things). They take on a larger, spiritual dimension because of Neptune sextile Pluto, the aspect of mass-consciousness. Now the energy at the action point Saturn bounces up to the Mercury Venus reaction point. So the final expression of the all the tension is through words and love, the source of difficulties earlier in life, but the avenue for the positive manifestation of the Yod when things turn around. The reaction point is like a pressure valve, and in some ways it makes it easier to release the pressure build-up found in a standard Yod astrology. However in some ways it is worse when the un-evolved Yod lets off the energy in an uncontrolled or harmful fashion. The young Yod was shy, fearful, insecure, and had difficulty with expressing love, words and feelings. As the Yod evolved through a series of sometimes painful leaps from the negative to the positive manifestation, wisdom and stability counteract the fear and inhibition. Now I express the thoughts to a wide audience on the Internet with confidence, and have a mature approach to loving and taking responsibility for my family. 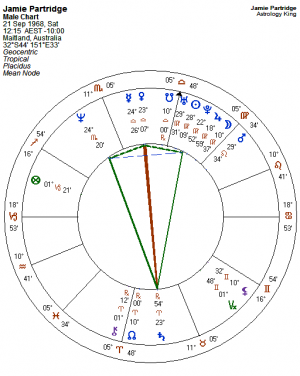 We may never feel in total control of our lives when we have a Yod in our charts. Life is fated, we have to surrender to a higher power and sacrifice some personal desires and needs. Along the way we can at least move from the back seat up to the passenger seat and start enjoying the ride. First time I come across the Golden Yod, Jamie. I have one of them, Uranus, Neptune with Moon at the Apex. Very helpful and explains a few of my personal behaviours. As for the Yod, there is one formed right now between Jupiter and Pluto with TL66 at the Apex. What about a boomerang yod in the progressed chart? How does a yod transit manifest or resolve itself? Looking at (and experiencing!) the activation point/fulcrum axis in two yods in the Progressed chart. The first is a Septile Yod,, the midpoint (boot) being 3Pisces or 22 February. The second a Sextile yod, the midpoint being 7Pisces or 27 February. 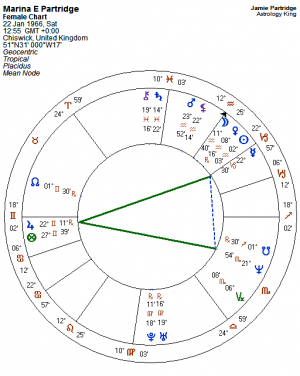 The Sun cruised these points the last few weeks giving added gravity to those areas the yods are impacting… Saturn, Venus, Chiron, and a host of other objects. I suspect the full activation or perhaps resolution, will occur this Summer around the time of the Mars/Venus/Sun conjunction.